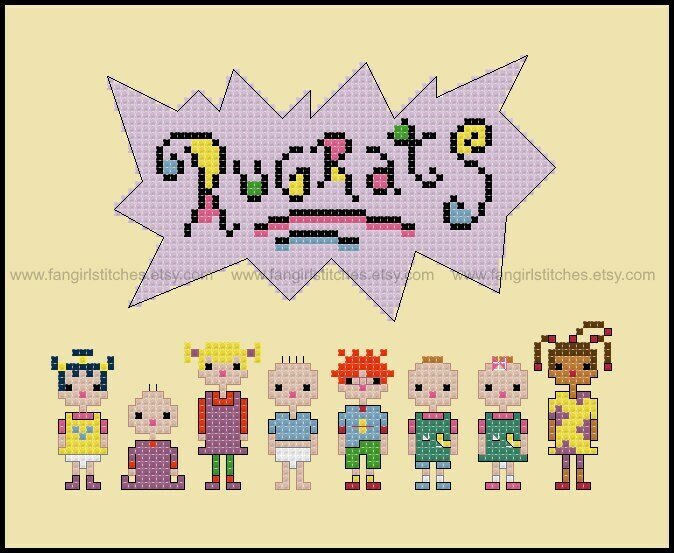 Relieve the adventures of Tommy, Chuckie, Angelica, Phil, Lil, Dil, Susie, and Kimi with this counted cross stitch pattern of the cast of Rugrats. This design includes whole stitch, back stitch, and a couple of fractional stitches, and is suitable for beginners. This is a parody (inspirational) work. 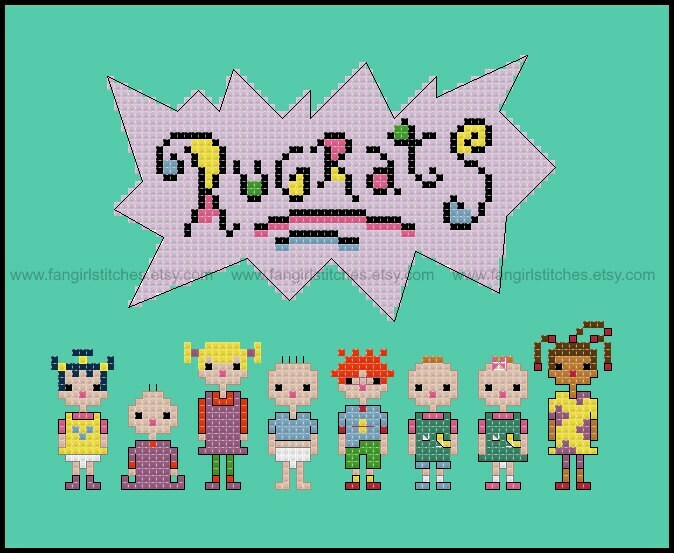 Rugrats and its characters are copyrights and/or registered trademarks of VIACOM INTERNATIONAL INC. This production is not sponsored, endorsed by or affiliated with VIACOM INTERNATIONAL INC or any of its subsidiaries or affiliated companies and/or third party licensors. 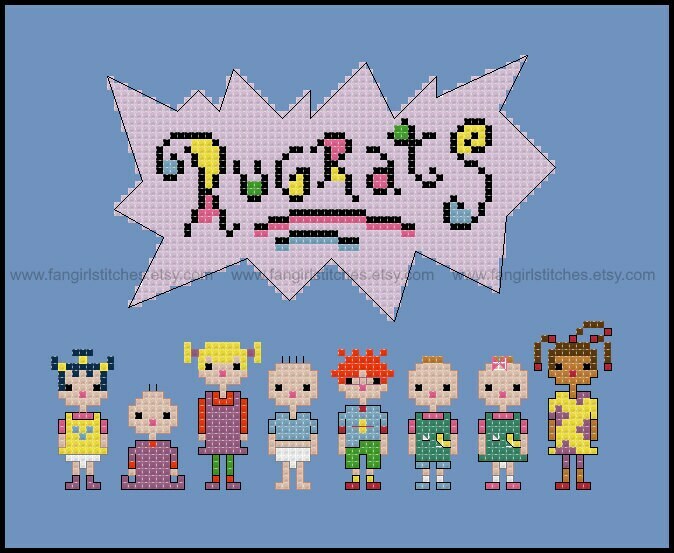 brilliant pattern. Thanks so much for the design! !